If there’s one thing the conversation of sustainability can teach us is that we must find opportunities to do things better than we did before – economically, socially, and environmentally. Cities are encouraged to see that urban renovations are underway whereby old, unused, or abandoned buildings and empty lots are being repurposed with a better economic function than their original existence. 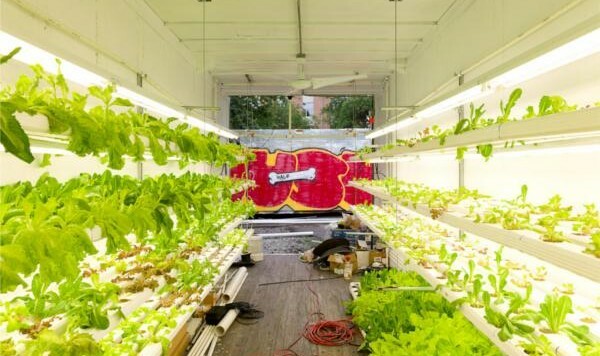 One such new found life is urban agriculture – specifically through hydroponic technology. The hydroponic retrofits not only provide new found business opportunities for a local economy, but are a valuable way to bring together the community, promote the important topic of health, and grow and produce local food all while reusing an industrial building that might have otherwise been restricted solely to a life of dust-collection. The new trend of hydroponic retrofits is popular for many reasons. For one thing, the practice of urban agriculture completely transforms an industrial space which may previously have been less than environmentally sustainable. In addition to the obvious food production benefits of commercial hydroponic retrofits, the buildings end up undergoing energy retrofits as well which greatly reduce the water and power consumption and increase operational cost savings. An example of such an improvement would include the alteration of lighting in the horticulture rooms which are always at the cutting edge of innovation when it comes to energy efficiency as plants require unique spectrum lighting. Hydroponic retrofit buildings are also more likely to include solar panels and rainwater harvesting systems. Additionally, the building’s ventilation abilities would naturally improve due to the horticultural requirements of proper plant growth. Another little appreciated benefit of hydroponic retrofit buildings include the capacity for combating CO2 levels. Hydroponic food production is now seen as an appropriate and sustainable technology which can add greenery to a likely barren area which lowers carbon emissions through plants’ natural filtration capabilities. One city in particular that is being recognized for this innovative solution is Chicago which has been plagued by what’s called the Urban Heat Island Effect which traps greenhouse gas emissions at street level between the skyrises during summer months. Of course this is causing tremendous health concerns in the city and therefore appropriate measures are being taken to remedy the problem. In conjunction with the vision of the City of Chicago to reduce urban air pollution, a local social enterprise has committed to turning abandoned Chi-town warehouses into hydroponic growing factories. The Plant is the first of its kind and has forged itself an ideal combination of economic opportunity, social empowerment, and environmental stewardship. It’s a hydroponic retrofit building that produces and sells food all while battling Chicago’s CO2 problem. Overall hydroponic retrofit buildings host numerous opportunities to improve the community in which they reside. It is through ongoing trial, innovation, and belief in the cause that will one day lead this economic opportunity to become a unquestionable solution to many urban problems.